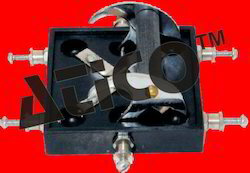 Providing you the best range of lamp and scale arrangement equipment, lamp and scale (workable on main), plug key (with brass block of 9 mm), plug key (with brass block of 10.5mm), plug key(with brass block of 12 mm) and 4 ways circular plug key commutator with effective & timely delivery. 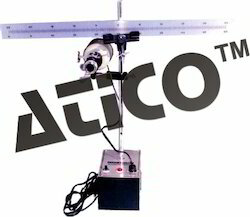 It is based on which is highly suitable for reflecting Ballistic Galvanometers.It consists of a heavy cabinet made from S. W.G. 20 sheet of size 6" x4" x3½" with printed Aluminum panel on the top.In this steel cabinet,a transformer of 6volts, 3.5Amps is enclosed, which is suitable for the lamp house.The lamp house is made from Aluminum - Silver Alloys, machined and finished in a pleasing Duco paint.It is fitted with a special 6 Volts 20 Watt bulb which is connected to the transformer with a special male-female detachable plug. The lamp house is fitted with a rack and pinion arrangement for focusing.A double convex lens made from imported glass of 18mm diameter of 4" focal length is used in it for better results. The lamp house can slide up and down along the vertical rod fixed on a detachable box. The inclination of the lamp can be adjusted in vertical plane. Bright light through the convex lens falls on the concave mirror of the Ballistic Galvanometer and forms a bright spot on the translucent Perspex scale fitted in a special bracket above the lamp house which is divided into 25-0- 25cm. and 0 to 50 cm. 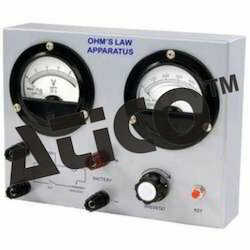 Suitable for use with Reflecting Galvanometer with rack pinion arrangement workable on 220 volts A.c./D.C complete 100pF with scale and its attachment plug and cord. Thick brass block of 10.5mm fitted on heavy bakelite base provided with all brass terminals and screws. Same as above but with brass block of 12mm thick mounted on a heavy bakelite base provided with all brass terminals. 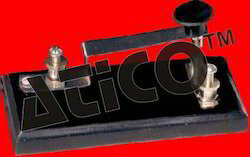 Thick brass block are mounted on thick bakelite plate. The plugs and lugs thoroughly interlaped for perfect locking Terminals are provided on each segment with extra heavy blocks. The four segments of gun metal mounted on a bakelite base.The multi brush sweeping contacts move either segment with a handle.Brass terminals are provided for the four segments and on the contact block. 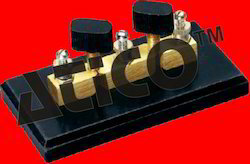 Used for Charging and Discharging of a capacitor. Nickel plated brass strips and pillars are used.Three terminals for connection fitted on a thick bakelite plate. Contact Resistance : 2milliohm approx. Brass Strip (Nickel plated) with insulated knob and terminals mounted on a bakelite plate of high insulation. Machine moulded switch fitted on wooden base with brass terminal.This is a five ampere double pole double throw knife switch wire to reverse the current when the handle is thrown from one side to the other. Cup shaped with brass fittings and two graduated test tubes. 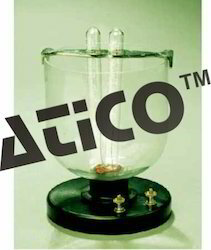 The glass vessel is mounted on a sturdy wooden base fitted with brass terminals and Eureka wire electrodes. 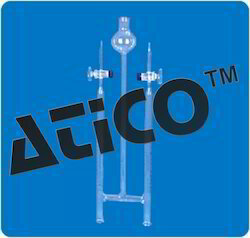 Supplied with brass metal test tube holder and graduated tubes. For demonstrating decomposition of water. 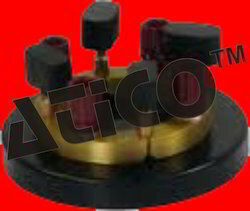 This design is preferred for work of best precision.Platinum electrodes are used electrolysis of water.The electrodes are mounted with rubber stoppers for insertion in the open ends of the voltmeter limbs. 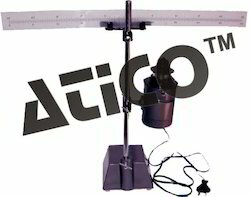 The unit has two connected limbs, integral with reservoir tube and funnel shaped bulb, with a stop clock at the top of each limb. 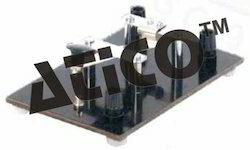 with suitable metallic stand, helps to prevent accidental breakage.Glass parts are made from corning glass. t demonstrates the principle electroplating. It consists of three copper plates suspended from moulded bakelite cover & placed on plastic jar. The outer plates called “LOSS PLATES” are connected to one binding post on top and inner “ G A I N P L A T E ” i s connected to the other binding post. 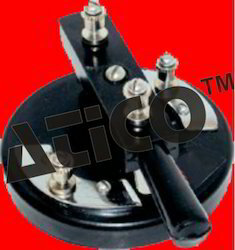 All plates are firmly held position when clamped and are easily inserted or removed. Chemicals are not included. 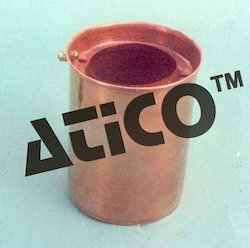 Spare Copper Pot for Daniel Cell offered comprise copper vessel that comes with support of perforated shelf for holding copper sulphate crystals. 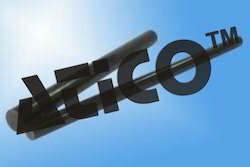 The product comes supplied with porous pot and zinc rod with brass terminal option. 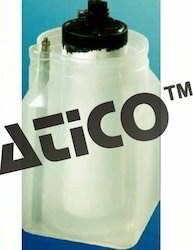 Other than this, the product comes with brass terminal & porous pot for lasting usage. Some of its features include durable construction finish, providing for durable usage, choice of OEM construction a demanded by customers. Because of its higher e.m.f. 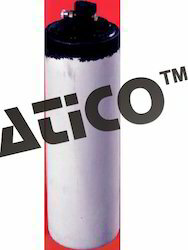 (1.5V) and lower internal resistance, this cell will deliver a stronger current for short period of time compared to the Daniel Cell.It consists of a plastic container 95x95x150 mm Length x Width x height.The rim is shaped to accommodate the cathode a zinc rod with terminal. 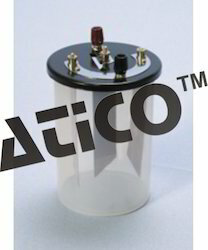 (A carbon anode with terminal is sealed in a filled porous pot containing the depolarizer). 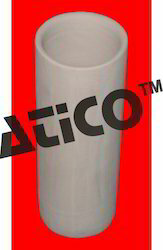 Supplied with plastic container, filled porous pot & zinc rod. 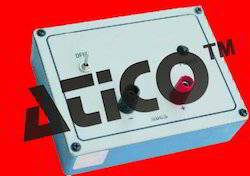 This is an electronic Daniel Cell works on 230V AC and gives regulated output 50ofx 1.08V. 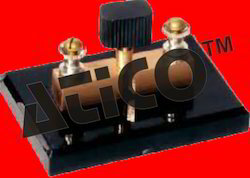 These resistances incorporate the latest design and can carry comparatively large currents without being heated. 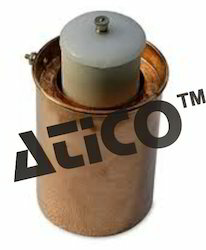 The resistances are immersed in moisture free and non-corrosive oil contained in metal vessels. Manganin coils are used which are thoroughly aged. Silver soldered connections are used. 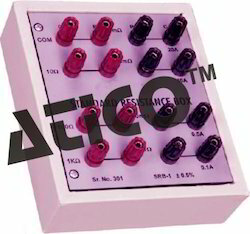 Standard resistances of 0.1, 0.01 and 0.001 ohm are provided with 4 terminals while those of 1,10,100,1000 ohms are provided with 2 terminals only. 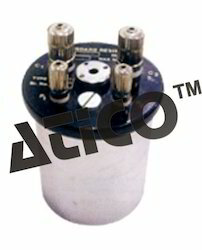 Used as reference standard to be used with Kelvin or Million Meg-Ohmmeter. 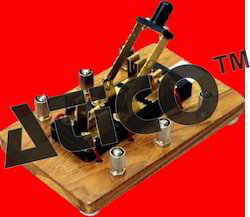 1milli-ohm to 1Killo-ohm - 7 different values. Looking for Lamp And Scale, Keys, Resistance ?